Being the most versatile blogging system ever, it’s no surprise that developers have twisted and pulled WordPress into becoming so much more through the clever use of plugins. If you thought WordPress was only for blogging, think again. Here’s 5 others ways you can use the WordPress system, with free and premium choices where available. 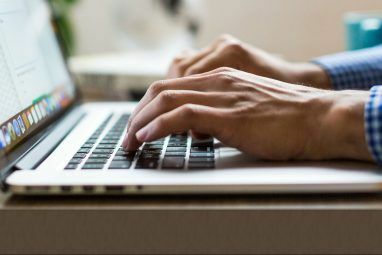 You might be surprised to learn that you can run an entire online store from WordPress, and more importantly you can do it for free. WP eCommerce has been the standard for a long time and powers some really impressive sites like Icon Dock. With a free core feature set and premium upgrades (additional payment processors, affiliate managers, etc), it’s the choice of developers with easy to customise templates. In terms of out-of-the-box ease of setup for non-technical users though, my favourite is JigoShop, with which you can have an attractive and fully functional shop up in minutes, fully compatible with the default twenty-eleven WordPress theme. Nice! For local sites especially, providing classified ads can be a great resource, as can a jobs site. Be aware that with any systems like these though, you really need a strong initial boost of activity and new users to prevent the site becoming stale. It may be best to create the community first, instead of creating a classifieds or job site from scratch and expecting the users to naturally come. For classifieds, the best contender by far is Classipress, a premium theme for $99 but feature rich and mature with full support. The same developers also make Jobroller, a respected job listing theme at a similar premium price. On the free side, Another WordPress Classifieds Plugin is an impressive alternative with a good selection of basic features – including the ability to charge users for listings using Google Checkout or Paypal. For free job listings, WordPress Job Manager does an admirable job, and the developer is always active in the support communities and project development. It integrates well, and has fantastic reviews on the plugin repository. If you’re looking to integrate it into your existing design and have the power to easily customise, Job Manager might be a better solution than a costly premium plugin. It’s hard to believe that anyone would subscribe to a website in this age of physical newspapers sales declining and sentiment against paywalls running at an all-time high – but if you’ve got niche knowledge on a topic that doesn’t have the traffic pull for you to make money through regular forms of advertising, then a subscription model may be the way to go. Membership is a well developed free plugin to handle every aspect of running a members-only site, compatible with the latest WordPress and a favourite of many. On the premium front, Wishlist Member is widely regarded as the best there is by those who make a living out of this – but at $99 for a single domain you’d better be certain of a subscriber base. Luckily, a 30-day free trial lets you decide if it’s right for you. With a full set of training videos, sequential content delivery and integration with a number of payment processors, it really has an expansive feature set. My own iPad Board Games site is a collaborative reviews site running on WordPress, and uses the fantastic (and free) GD Star Ratings plugin at the core allowing anyone to vote on the games. It is quite a complex plugin with various rating types – posts, comments, multi-rating blocks, stars or thumb-up/down – and to get the best of it you really need to read up on the vast templating options. Certainly worth the time involved though, I’m sure you’ll agree. On the premium side, it hard to fault wpreviewsite in anything but price – $97 for a single site license, though it is feature rich and works well out of the box for those of you in a hurry. ReviewIt is a significantly cheaper theme option at $40 and supports the community plugin BuddyPress as well, but I’m not a fan of fixed theme options as they tend to look quite cookie-cutter. Simple:Press is my choice for any sites that need a fully integrated and WordPress-centric discussion forum. It works right into your existing theme and looks great even without customising it, featuring the full gamut of forum features you’d expect. 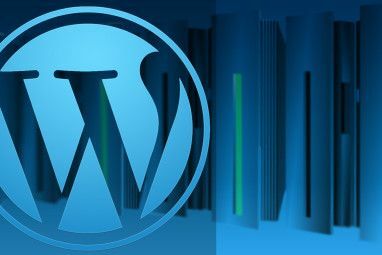 A full WordPress integration, user accounts remain managed by WordPress, so for tying it to other parts of your site you couldn’t ask for more. 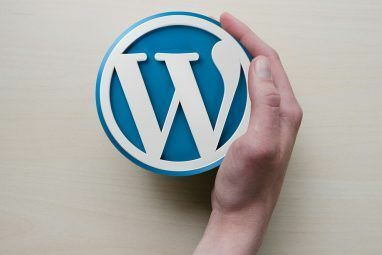 I hope you can see just how powerful WordPress is for rapid website development of a variety of site types – not just blogs – and perhaps even gained a little inspiration in the process. Many of the plugins mentioned today are featured on our freshly published Best WordPress Plugins page, but be sure to check out the full archives of WordPress tutorials too for lots more general blogging tips and in-depth theme-customization tutorials. what about a guide for a newbie?? I am going to start using my niches' to generate conversation and was thinking of using hubpages. Any thoughts or advice? and once you have finished the guide and set up WordPress make sure to check following page for Best WordPress Plugins. I've just started to investigate WP and I'm so happy I stumbled upon this site. Awesome ! That's awesome, thanks for sharing your link as a great example site. By the way, your product URLs all all nearly identical. Have you thought about adjusting them to target specific keyword searches, like "cowboy stilletos" or something? That would really help your SEO i think. How does the WordPress shopping cart pluggin compare to other shopping carts? Difficult to say as I don't have a lot of experience with OScommerce or similar open source eCommerce packages. They're perhaps more feature heavy, but too complicated for the majority of users. In most cases when a client is running a custom open source ecommerce site, and they've come to us because of a recent hack, I suggest they move over to shopify.com, which is a hosted solution. Obviously, it isnt as easy to customize. As for wordpress ecommerce, it's perfect for small businesses that simply dont need elaborate ecommerce, and want something they can customize with the huge range of wordpress themes already out there. Yes that's right, but if you look closer to what WordPress can do in term of heavy coded website. You'll see that WordPress can handle almost everything. With all this great stuff WordPress can do as a CMS I still prefer to be on a lighter side, I love my photoblog site more than eCommerce.